The new year is upon us! Which means it is time to pick out another calendar to help guide me through another year. For 2014, I’m thinking about getting one of these typography calendars. I haven’t decided if I want to go with a tear-off day-to-day type deal or if I want the wall mounted inspirational calendar. Either way, I’ve found these two options. 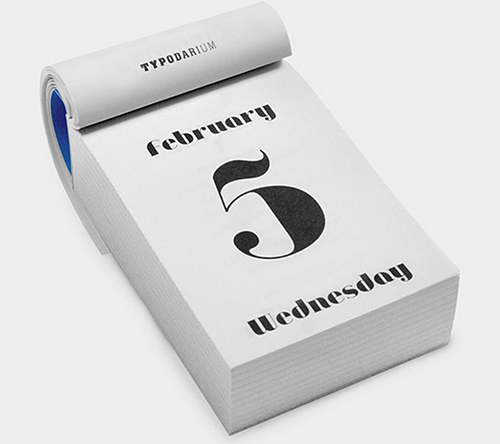 This typography calendar is being sold at MOMA and sports a different font every day of the year. They are calling it the Typodarium calendar and it looks like it may get a tad cutesy, but it’s certainly unique. Plus, it’s on sale for only $12.50 (see waiting until the last minute pays off sometimes)! 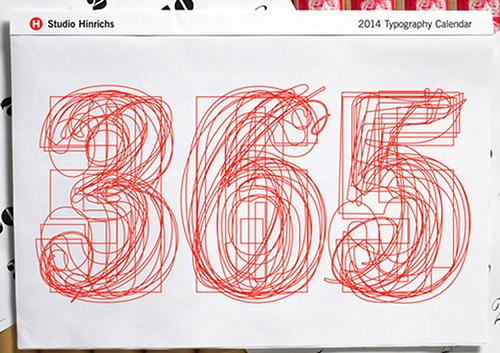 Of course, then there is the annual awesomeness that is Hinrichs 2014 Typography 365 Calendar. This favorite sports a new font every month and really concentrates on the design and typesetting of each month. It’s something that any typophile would truly appreciate. But the full-size wall calendar is going for $47, so it’s a bit more expensive. I’ve seen this one before and it was wonderful. Totally worth getting the bigger one (the smaller typographiy calendar is $29). So what have I missed? I’ve seen a bunch on Etsy, but nothing really jumped out. Let me know if you know of a cool typography calendar that I need to consider before I pull the trigger on one of these. Happy New Year to each of you! 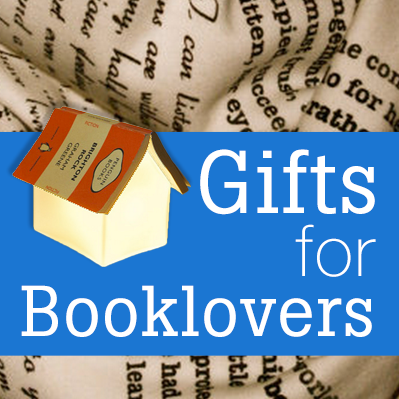 I hope that your 2014 is full of books and great reads.